Amazon expects to continue to experiment with a number of different formats to see how shoppers respond. Amazon believes there is no one solution to the future of retail, which is why it plans to continue experimenting with a number of different formats, from physical pick up points and Amazon Go to online ordering and home delivery through Prime Now and Amazon Fresh. Speaking to analysts following its second quarter results announcement, Amazon’s Chief Financial Officer Brian Olsavsky said that the company would continue to gauge how customers respond but that the company “likes what it has seen so far” from its newer formats. He also pointed to the synergies between Amazon and its intended acquisition target Whole Foods, calling out the two businesses’ shared values including a focus on customer service and quality. During Q2 the company recorded an impressive 25% jump in net sales to USD38.0bn (EUR34.33bn). By segment the company’s net revenue grew 27% in North America and by 17% internationally (or 22% adjusted for currency). AWS outperformed, supporting the retail business with a 42% increase in revenue and a 28% jump in operating income. Operating profit for the business overall decreased 51% to USD628mn (EUR567.35mn) on heavy investment in fulfilment capacity, its Echo and Alexa devices, AWS, continued rollouts for Prime Now and Fresh, hiring, video content and international markets including India. During the quarter Amazon’s Prime Day was the biggest ever shopping event for the company, with more new Prime members joining than on any single day in Amazon’s history. The company expanded Amazon Fresh in Germany to reach Berlin and Hamburg and also introduced Prime Now to Singapore, its first market in Southeast Asia. Richest Man - For a Day? Amazon’s CEO Jeff Bezos briefly overtook Bill Gates to become the world’s richest man on Friday. However, he was relegated back to second place after company shares fell on lower than expected profits for the second quarter. Our feeling is that this was just a temporary setback. It may be that Amazon sees “no one solution” for retail, however it is investing in the innovation and capacity for a long-term future that includes a heavy focus on grocery, its Prime subscriptions (which it describes as “the best deal in retail”), an increased physical presence, voice technology and rapid delivery. Volume through Amazon’s fulfilment centres increased by 40% last quarter. Yes, 40%. And the company added 30% in additional distribution space to support its own retail operations and FBA (Fulfilled by Amazon). This expands the assortment of same-day and next-day items available, which the company sees as self-reinforcing with Prime. Amazon’s focus on rapid delivery and the last mile are changing the retail landscape too. The company says it is constantly working on the cost of delivery and its route to grab densities through Prime Now, viewing this as an integral part of its proposition. Prime Now is currently present in 50 cities in eight countries and Prime membership remains a rapidly-growing catalyst for growth. Through this relentless focus on speed, convenience and service, the company continues to reset shopper expectations, placing a high bar for other retailers to match or differentiate themselves against. Experienced players including Tesco and John Lewis have all extolled the virtues of the additional shopper loyalty, frequency and volume that comes with offering shoppers more choice through omnichannel. 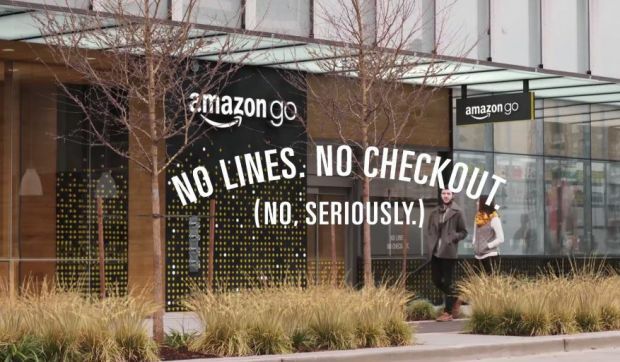 Now Amazon is branching out from its pureplay Fresh operation to do this too, in its own way which will include exciting innovation, such as that which is already being showcased through Amazon Go, Fresh PickUp etc. So, is Amazon’s growth completely unstoppable? Well, in Europe LZ Retailytics estimates that Amazon will become the ninth largest retailer by 2021 from number 12 at present. However, globally and in the short term we see just one challenge: the integration of Whole Foods, which may prove a significant distraction, assuming its USD13.7bn (EUR bn12.38bn) acquisition goes ahead later this year. Despite the synergies, Whole Foods is operated around a much more traditional business model and has seen same store sales fall for the past eight quarters amidst growing competition from the US grocers. For its most recent quarter revenues declined by 1.9% and net profit fell to USD106mn (EUR95.76mn) from USD120mn (EUR108.41mn). Could it be that getting physical retail right might be the chink in Amazon’s armour and the opportunity for others to differentiate? At least in the short term? Bricks & mortar and omnichannel retailers had better hope so – as we all know, it is only a matter of time before Jeff Bezos takes up his post as world’s richest man ... permanently.